Visit this dream-like island, home to lush vegetation, charming towns, haunting volcanic rock formations and mist-covered mountains. 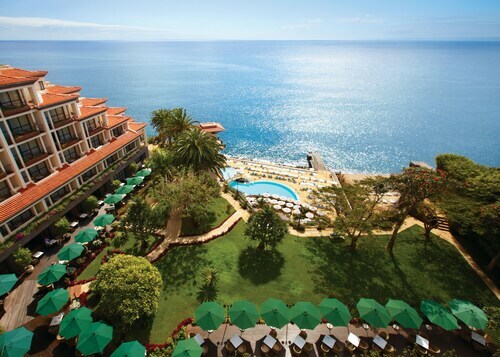 Madeira Island offers truly spectacular natural scenery and warm temperatures year-round. Follow walking trails that run parallel to man-made irrigation channels and take in views of clear blue waters and green cliffs. Spot brightly colored and sweetly scented flowers in the spring. Chill out on sandy beaches, participate in exhilarating watersports or delve into the island’s fascinating cultural heritage. One of the best ways to take in Madeira’s idyllic natural scenery is to enjoy a levada walk. The levadas are a series of mini-canals developed by early settlers to distribute water around the island. Explore a network of more than 870 miles (1,400 kilometers) of trails to find waterfalls and lagoons, as well as valleys, mountain ranges and laurel forests. Brave the glass-floored skywalk at Cabo Girão, one of the highest ocean cliffs in the world. Standing 1,902 feet (580 meters) above the water, you can spot Funchal and Câmara de Lobos from this dramatic location. Visit the gorgeous village of Santana, known for its multicolored A-framed cottages, called palheiros. These charming thatched-roof residences are unique to the island and well worth a visit. See the ornate geometric patterns decorating the roof of Funchal's cathedral, Sé. Constructed in the 16th century, this Moorish-influenced cathedral also features beautiful Baroque altars, gilded choir stalls and intricate tiling. Don’t miss the views over Funchal from Jardim Botanico, a beautiful botanical garden. Walk along the well-labeled paths and admire collections of cacti and anthuriums. Look for the overlapping roots of an ancient heather tree, which is said to be more than 10 million years old. Calheta Beach may be man-made, but its golden sands and clear waters are nonetheless scenic. Canoe, windsurf, swim or stop for some fresh seafood at one of the restaurants found along the beach. Be sure to sample the region’s unique white rum called aguardente. Madeira Island is located about 350 miles (563.3 kilometers) from Morocco. Regular flights leave daily from Lisbon. The capital of the Portuguese island of Madeira is a beautiful city on the southern coast offering beaches, historic buildings and marine wildlife adventures. Madeira’s second-largest town is home to a beautiful swimming beach and a lovely old quarter, as well as a network of numerous scenic walks. Visit this pleasantly secluded village, known for its dramatic sea cliffs, stunning coastal views and sunny weather. Visit this old-fashioned fishing village, known for inspiring one of Britain’s greatest politicians with its charming scenery. This picturesque town is set within the hills of Madeira’s northern coast and is home to a fascinating underground cave complex and botanical garden. Slow down in this modest, laid-back village, which is known for its picturesque location and exciting surf scene. Located by the sea, this family-friendly hotel is within 6 mi (10 km) of Church of Our Lady of Light, Ponta Do Sol Beach, and Beachside Square. Paul do Mar Beach and Ethnographic Museum are also within 9 mi (15 km). 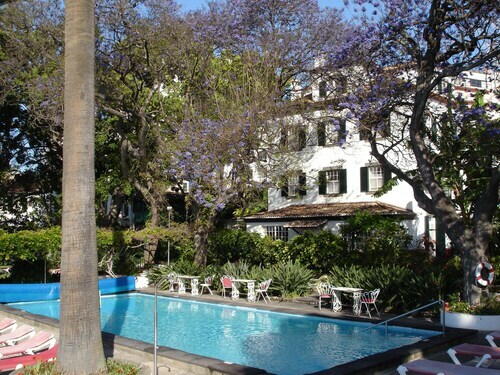 This family-friendly Funchal hotel is located on the waterfront, within 1 mi (2 km) of Barreiros Stadium, Lido, and CR7 Museum. 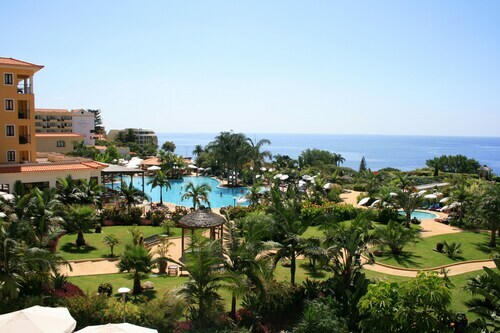 Funchal Marina and Botanical Garden are also within 3 mi (5 km). 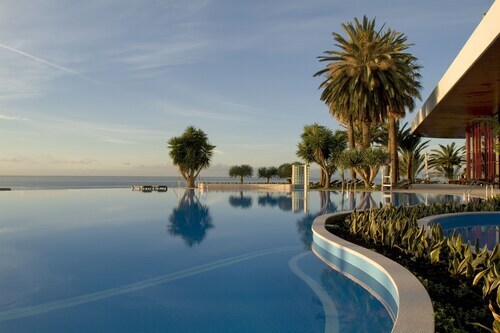 This family-friendly Funchal hotel is located by the ocean, within a 10-minute walk of Madeira Casino and CR7 Museum. Lido and Funchal Marina are also within 1 mi (2 km). Located in Se, this family-friendly Funchal hotel is within a 10-minute walk of La Vie Shopping Center, CR7 Museum, and Funchal Marina. Lido and Botanical Garden are also within 2 mi (3 km). 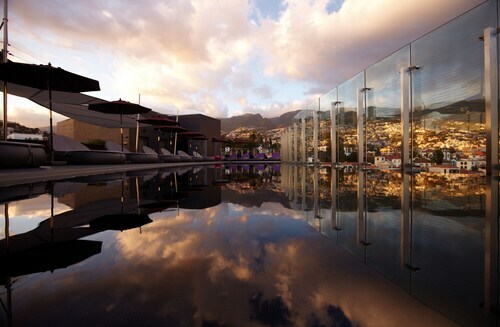 Located in the center of Funchal, this family-friendly hotel is within a 10-minute walk of Madeira Casino and CR7 Museum. Funchal Marina and Lido are also within 1 mi (2 km). 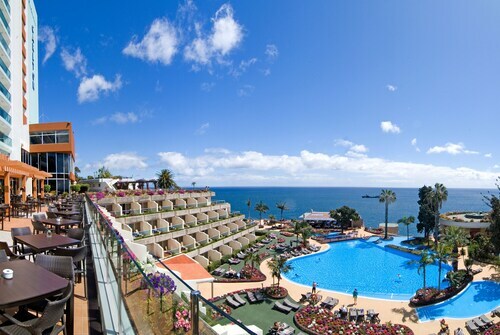 This family-friendly Funchal hotel is located by the ocean, within 1 mi (2 km) of Barreiros Stadium and Lido. CR7 Museum and Funchal Marina are also within 2 mi (3 km). 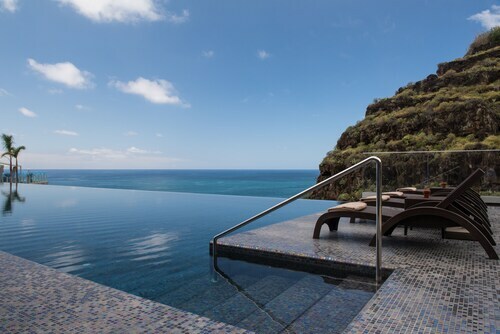 Located in Se, this hotel is within a 10-minute walk of Madeira Casino and CR7 Museum. Funchal Marina and Lido are also within 1 mi (2 km). 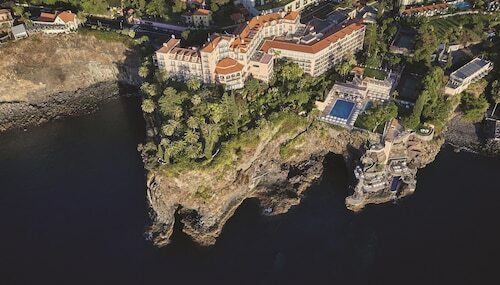 Located in São Martinho, this luxury hotel is within 1 mi (2 km) of CR7 Museum, Funchal Municipal Garden, and La Vie Shopping Center. Funchal Cable Car - Monte Station and Monte Palace Gardens are also within 6 mi (10 km).